If you are planning a vacation this year, then you must explore your options and choose the perfect spot to spend your vacation. It is always necessary for you to go through all of the options that will help you in the perfect way. Moreover, if you have not visited the Maeklong Railway Market in Bangkok, then you should know that it is one of the most amazing places that you will find on earth. It is a market right on top of the working railway track. If you are planning to visit Thailand this year, then it could be your best decision to spend your vacations. You must always gather some facts about the location that you are about to visit. We are going to share multiple things about the Maeklong Railway Market and how you can have a great trip. 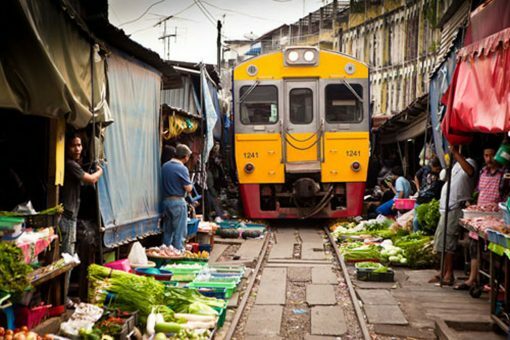 Let’s have a look at how you can enjoy your visit to Maeklong Railway Market in Bangkok. You should be aware of what to expect when you are entering the market. First of all, you should know that the complete market is built right on the railway track. You will hear the train long before you see it. All the vendors and merchants collect their belongings and move their umbrellas away from the track. However, you will keep hearing the horn of the train every now and then to warn the people and the vendors to move quickly. The market is also known as the ‘umbrella pulldown’ market. 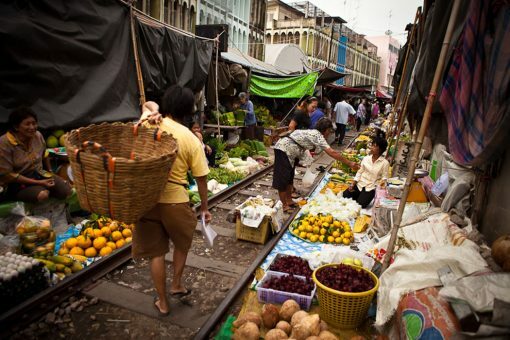 You will have a lot of fun at Maeklong railway market if you are visiting it for the first time. Mainly, you will be able to find food for sale here. The big thing about this market is the train that passes through, not the goods. However, there are clothes and other necessary items available here that you can easily purchase. You will be able to find groceries items and food items that you can purchase on a regular basis. One of the important things that you should focus on is to know the history of the place and the market. 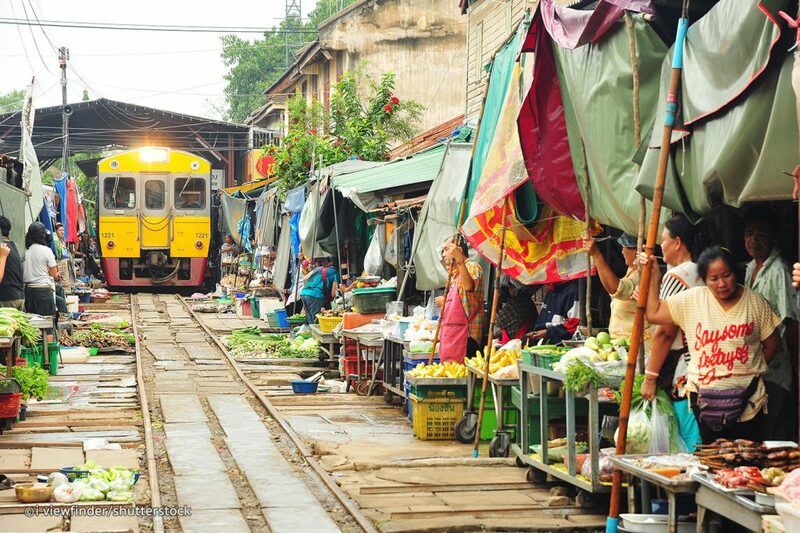 You should know that the Maeklong Railway Market has been around since 1905 and it has a long history associated with it. If you are visiting Thailand for the first time, then you should consider visiting this market for sure.